A bunch of tips on how to wick your RDA, RDTA or RTA properly EVERY darn time! Wicking an RDA or RDTA is pretty straightforward once you get the hang of it, but for newbies, it can be quite tricky. This is why we’ve put together this list of tips and best practices for wicking your RDA or RDTA. I spent a good deal of time ignoring RDAs and RDTAs because, well… I’m lazy and I couldn’t be bothered fiddling around with cotton and wires and screwdrivers. But this was a massive mistake because RDAs and RDTAs offer up some of the best vaping experiences around. I’ve already written about the main differences between RDAs and RDTAs, so I won’t be going over that in this article. Rather, I will be focussing on correct wicking technique which is essential if you want to get decent performance from your tank. As always, these are tips you can use and implement right away. Some are my own discoveries, some are common practices, and some are the findings of other, experienced vapers. Either way, I hope this helps you on your way to becoming a wicking master. This kind of goes without saying, but if you’re new to building your own coils you should 100% invest in decent, organic cotton – not the crap that some tank makers include in their boxes. I use Cotton Bacon and have done since, well… forever. It’s cheap, organic, and brilliant to work with. There are other brands on the market, but I am a massive advocate of Cotton Bacon, as are the vast majority of pro vapers. Though there are PLENTY of alternatives out there. Wicking 101 – Pre-Made Coils or Hand-Made Coils? Are you going to make your own coils? If so, this means buying wire, a coil-curler (is that a word? ), and some means of testing the ohms of your build. If that’s your bag, you will definitely want to invest in a coil building kit, as it is the easiest and safest way to create your own coils. I used to build my own, and when I did, I used the kit above. 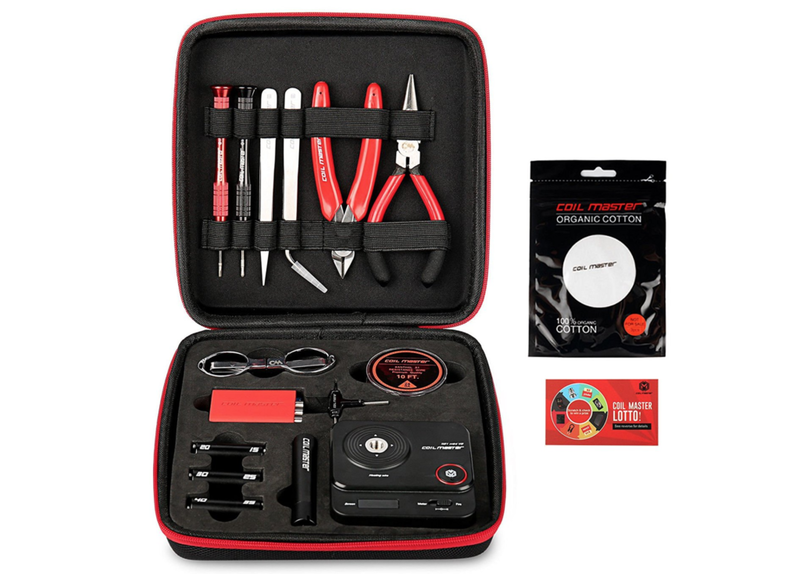 It’s cheap and has everything you need to get started with coil building, including an Ohms reader which is essential. I now use pre-made coils because, well… I’m lazy. My preferred ones at the moment are from these guys – they have plenty of options to choose from. This is VERY important and it is something that took me a long time to figure out. If you use too much cotton, you’ll struggle with performance. But if you use too little, you’ll get popping and dry hits. Basically, it’s a fine line and you need to find the sweet spot. I get the desired amount of Cotton Bacon and then roll it out. I then tighten the end and push it through the coil. You’ll know it’s the right thickness when there’s a bit of resistance on the coil, but not enough to stop it moving through. This is the Goldilocks-level of tension you want to be aiming for; get this right and everything else will fall into place naturally. If you’re a beginner just finding your feet, it is definitely worth learning The Scottish Roll Wicking Technique. I could explain it to you in writing, but stuff like this works best visually, so I’ll hand you over to Mr. Trippers for a detailed tutorial. Once you have you cotton installed, you’ll want to trim the ends. And you’ll want to trim it so that they sit nicely over the juice holes – not drop down inside them. This takes a bit of practice and all tanks are different, but the best rule of thumb, normally, is to not cut too much off as you can always trim later if things aren’t working properly. Once you have the right length, fluff the ends up as much as you can. This helps with juice absorption and will make the build vape a lot better. This isn’t essential by any means but it is definitely good practice. I always do this. Simple: if you’re building a new coil, wash your hands. You don’t want any crap – literally or figuratively – on them when you’re wicking, as it will compromise the cotton and, potentially, the flavor and overall performance of your build. The name might sound odd, but this wicking technique – basically, a great example of the Scottish Roll Wicking technique – demoed by a dude from Edinburgh that goes by the name of CheeseBanana has helped untold numbers of vapers get their heads around wicking. 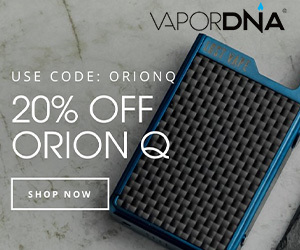 With this technique, you’re RDA will go from 5-6 puffs between drips to 20+. I know, I know – it sounds too good to be true, but it’s all in there. Just watch the video below and do as instructed and watch your drip-time drop dramatically. As I said, this technique is basically the Scottish Wicking Technique. But CheeseBanana just explains it so well that it makes the entire process completely idiot proof – and, best of all, it is super simple and it works. Every time. So if you’re sick of constantly having to drip E Juice when using your RDA, check out this awesome video, as it will ensure that you get at least 20 draws off a single drip which is a huge uplift in performance over the usual five or six. If you’re changing out the cotton in your RDA or RDTA, make sure you burn off all that gross gunk on the coils themselves. Most coils should last a good long while (a month or so), providing you maintain them correctly. How you do this is simple: remove all the cotton and fire the mod so that the coils heat up. This will burn off all the gunk and, trust me, you really don’t want to be re-wicking on a dirty coil. To get optimum performance from your tank, you need to clean it regularly. Simple, I know, but so many people DO NOT do this and then complain when things stop working properly. Because I am a serious vaper, I actually bought a jewelry cleaner for this exact purpose. I know, I have a problem! But it works like a charm. I disassemble my tanks, whack them inside, and give them a good ‘ol clean and, a bit later, they come out looking as good as new. This is an alternative method for wicking your cotton – and it’s kind of weird, but it does work really well. Basically, rather than rolling it, inserting it into the coil, and then priming it, you do the opposite and prime it first. So: you roll the cotton to the desired size, then drench it in E Juice, and then insert it into the coils. This method is a bit messy, but it does work really well. I often do it when I’m using a new tank and I’m not 100% sure how well it’ll wick. This isn’t necessarily about wicking, but it is important nonetheless. When inserting new coils into you tank, make sure there is a decent amount of space between the bottom of them and the airflow holes. Why? Simple: it ensures they have an even flow of air over them and this makes sure they’re cooled correctly. Also: in addition to this, make sure when you reattach the top part of the tank, the airflow inlets line up with the coils. This will stop weird throat hits by ensuring air inside the tank is flowing the all the right places. If your coils pop when you’re vaping, don’t worry, all it means is you haven’t used enough cotton. Or there is too much E Juice on the coil. Normally though it is down to not using enough cotton. 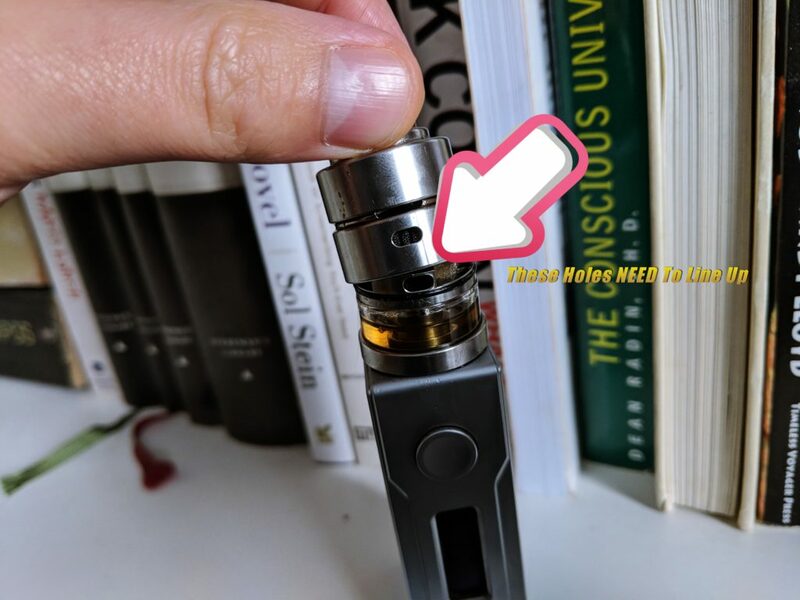 And while this does require a rebuild if you can’t abide the popping, it is a simple fix to a problem that many people experience when working with RDAs and RDTAs. That’s it for now, but I will be adding more tips and tricks to this article as I discover them. 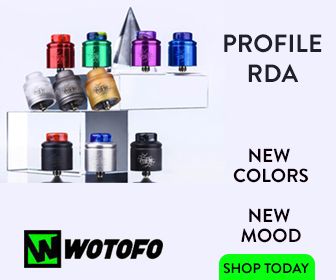 And if you’re interested in finding out what the highest-rated RDAs are right now, make sure you check out our Best RDA Guide – it covers squonk RDAs, single coil RDAs, and dual-coil RDas.